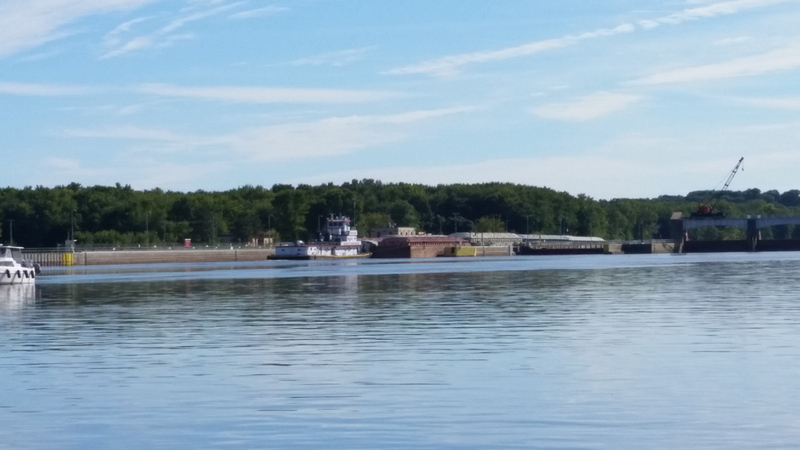 While there are many pleasure boats on the Mississippi river, it is a busy industrial highway. Barges the size of football fields run 24 hours a day and there are places where only one at a time can fit through the channel. The rule of the road is stay out of their way. 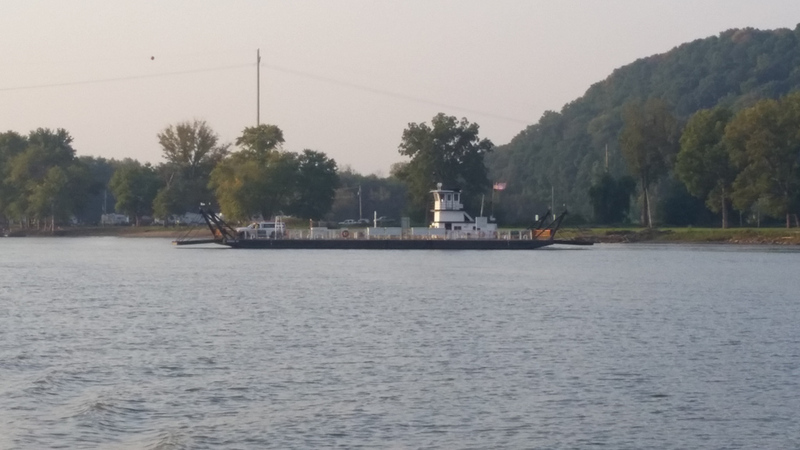 I found the tug boat captains and lock tenders to be patient, friendly, and professional. They were never in a hurry and wanted to be sure everyone around them was safe and clear about what was going on. 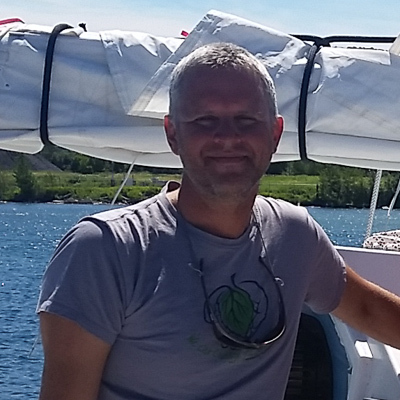 I spent more time on the VHF radio daily than I did seasonally sailing on the great lakes. In fact, when I left I thought I would be fine with just a handled VHF since I didn’t have the mast up to install the antenna. After the second day, I stayed up late into the night wiring up the main radio and splicing a temporary coax cable to run to a temporary antenna. Life was much easier after that. The locks were generally easy. When I was within radio range, I’d call them up and let them know I was coming. There were two typical responses: we’ll have the door open just come right in or I’ve got a barge going down and one waiting up and it’ll be 4 hours. We never knew which it would be until we got there. It made it hard to know how many miles we’d make each day due to the amount of waiting. At best, I’d be able anchor nearby, but often I’d have to stay at the helm slowly motoring in place into the current. At night, we would find a place out of the navigation channel and anchor. 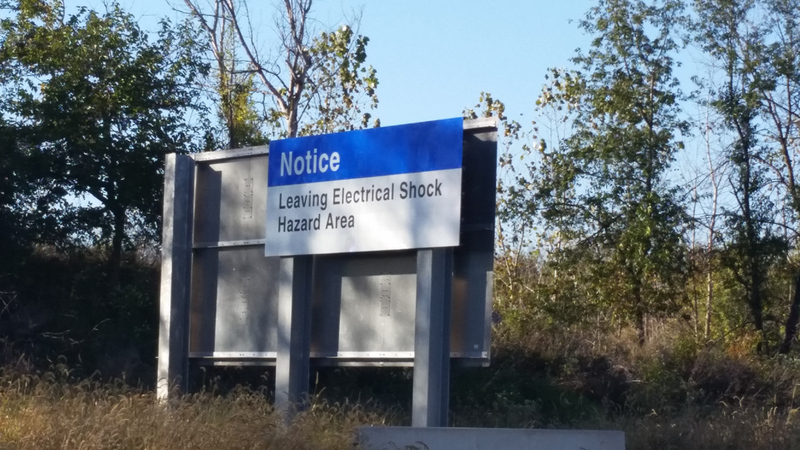 Normally, I’d start looking for a good place around 5pm. There are too many obstructions in the river for me to safely run at night, but I wanted to push as close to dark as possible to make more miles. There were only a couple close calls where we were anchoring just as the sun went down. 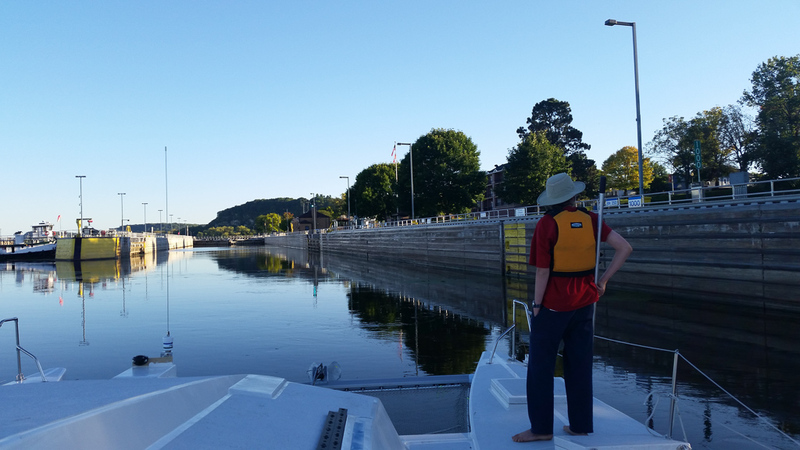 If we needed gas or food, we would stay at a marina for the night or stop at the many free municipal docks in the small river towns. 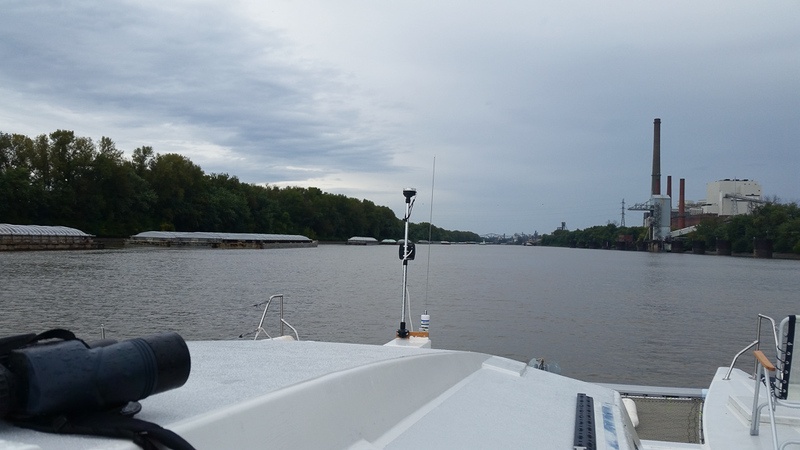 We preferred anchoring because it was more secluded and less stressful than pulling into a dock with our wide boat. A slightly scary lock entry. 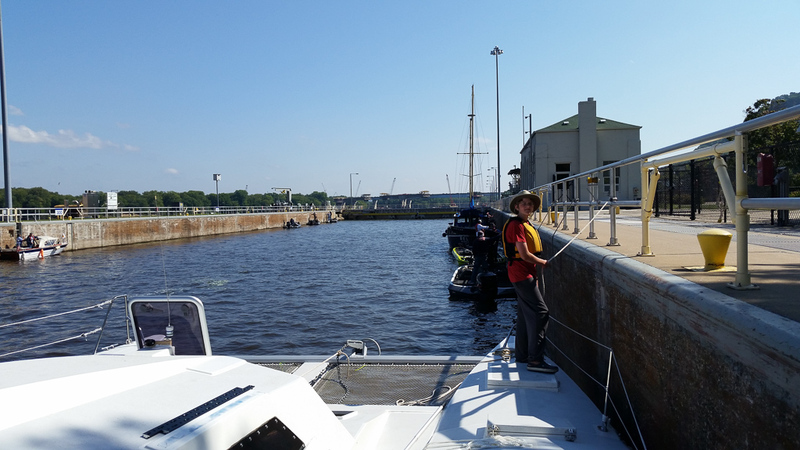 We had to scoot between the tug and the lock wall with a 2 knot following current. There was no room for mistakes. I would’ve been better off with bigger fenders, but we managed with Ethan running the boat hook and me at the helm. 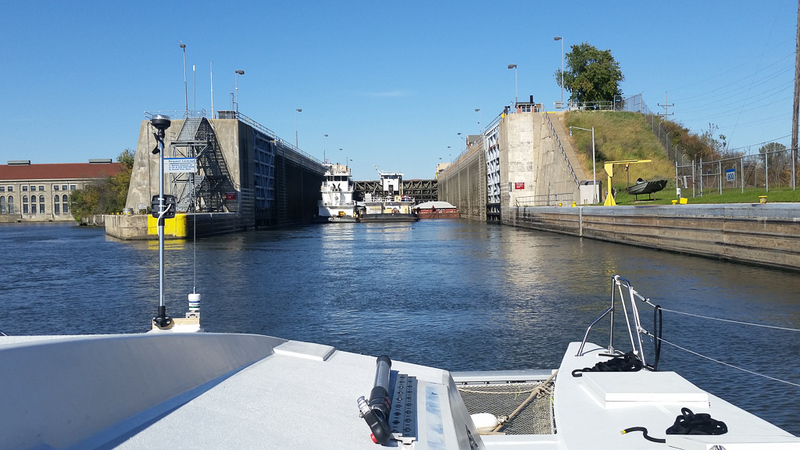 We would start at the top and hold onto lines while the water drained from the lock compartment to bring us to the lower pool. A long wait. 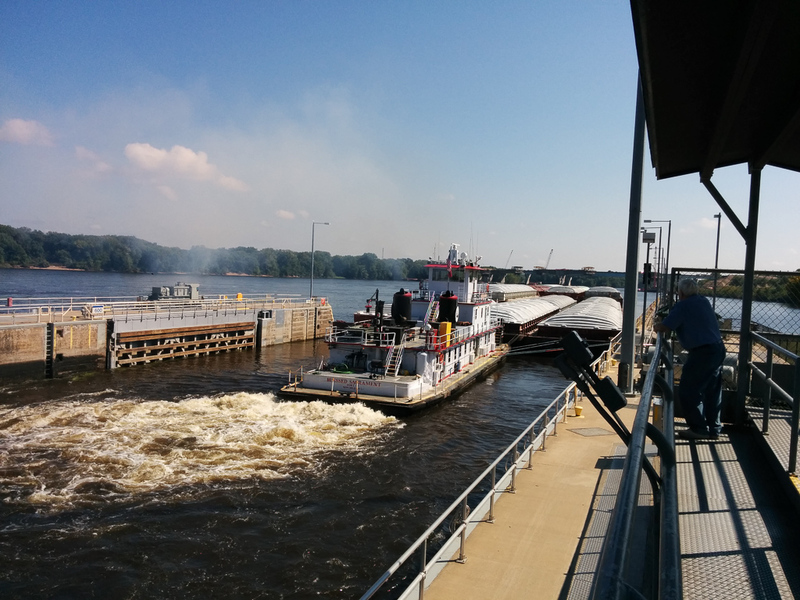 The combined barges were often longer than the locks, so they would untie and take multiple trips. It was a long process. 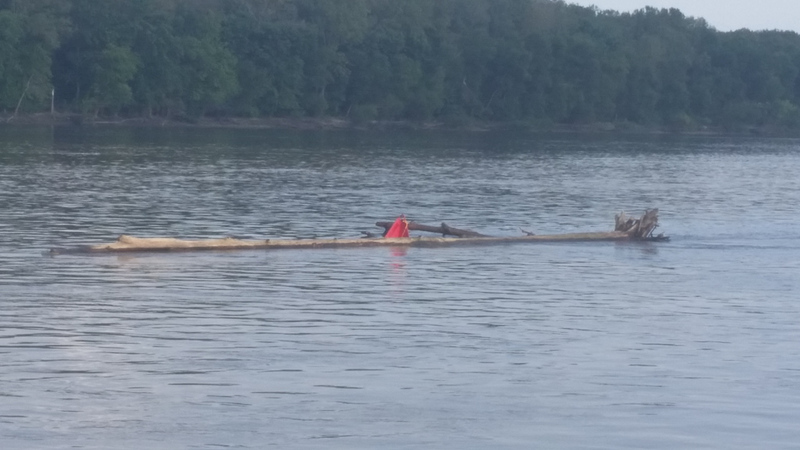 We had some fun playing leap frog with the American Queen. 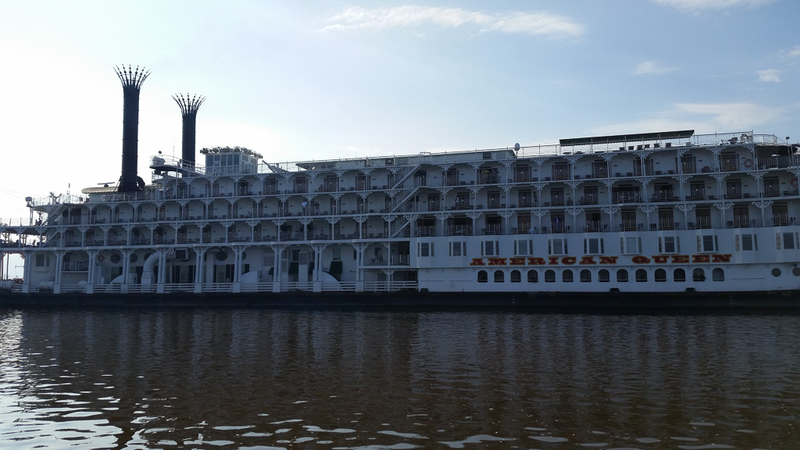 She would pass us nightly while we were anchored and we would pass them in port the next day while the passengers walked around the small river towns. Ethan enjoyed exchanging photos with them on twitter. This was a blast from the past for me as I played trombone aboard while I was in college. Black tie dinning room with immaculately restored woodwork throughout. It was quite the experience for a poor collage musician. The flood had recently passed through this stretch. 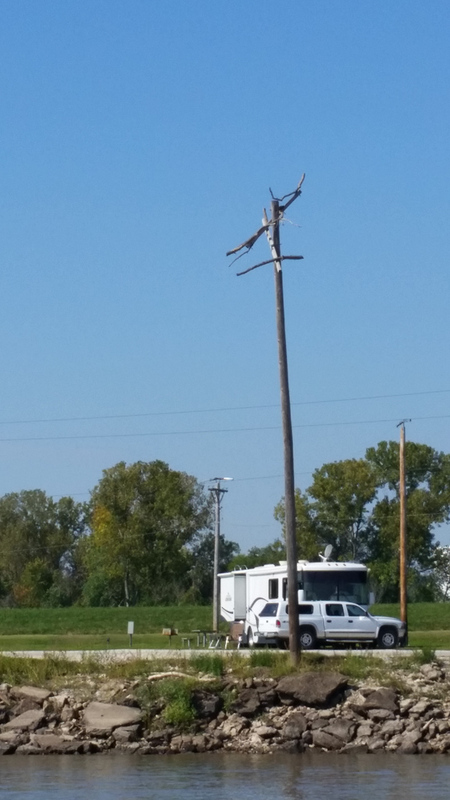 Look how high the driftwood was snagged by this power pole. 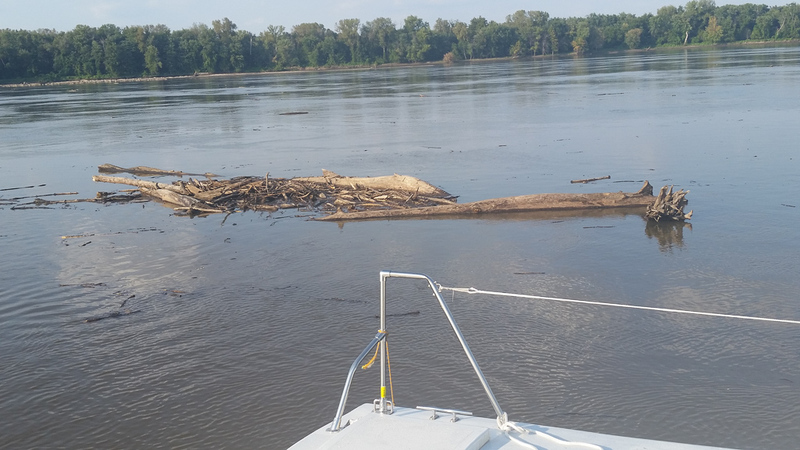 we had a busy day navigating the leftover mess of the flood. 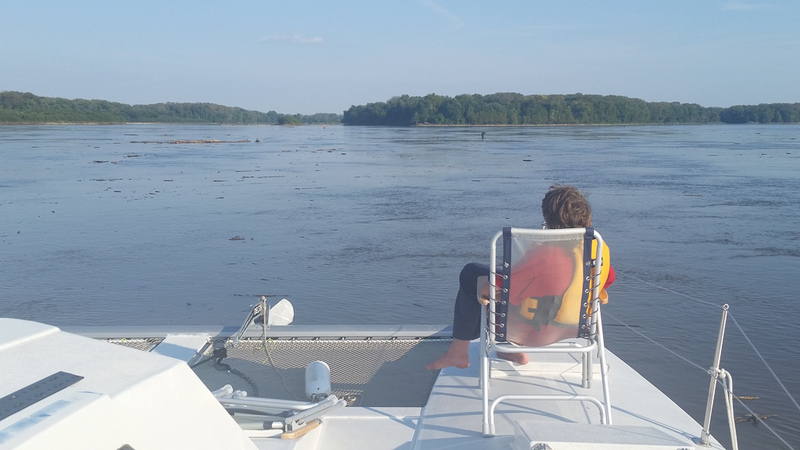 After we turned north on the Illinois River, things calmed down. Everything felt…smaller. The scenery, the current, the river, the bridges, and the stress were all smaller. I missed the grand scenery of the upper Mississippi but was relieved for the low key passage upstream through this industrial stretch. 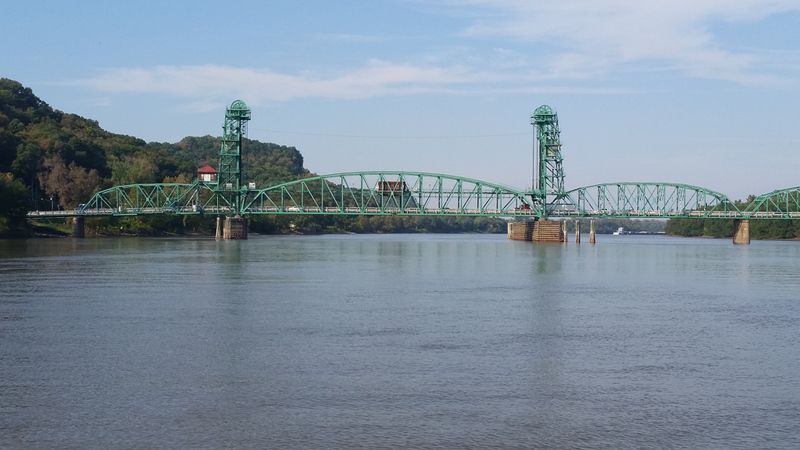 There were fewer bridges, so there were many car ferries zipping back and forth. 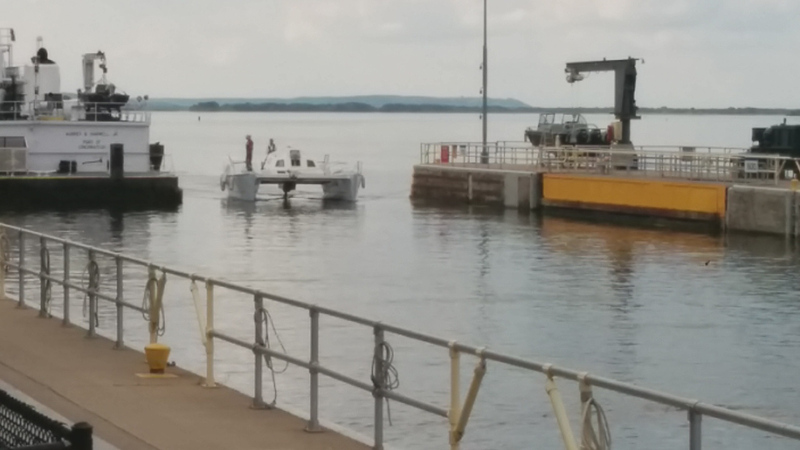 I was amazed how quickly they could unload, load, and head the other direction. 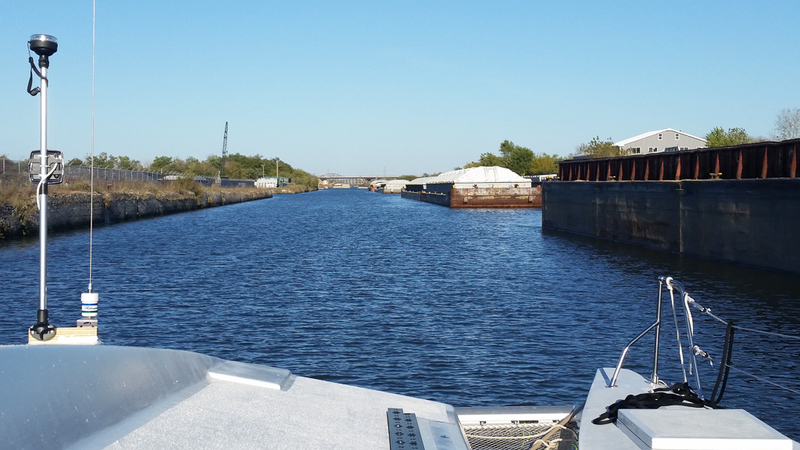 The last lock before we entered the Chicago sanitary canal. 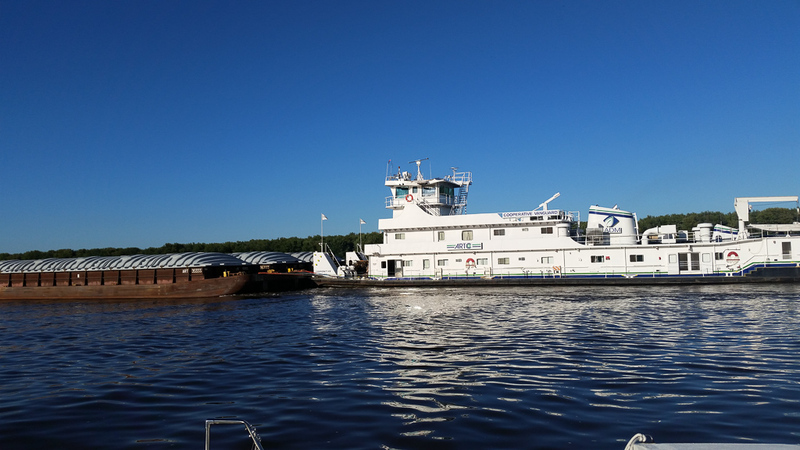 They crammed us in with a barge and two tugs. The 20kt tail wind made for a scary entrance. 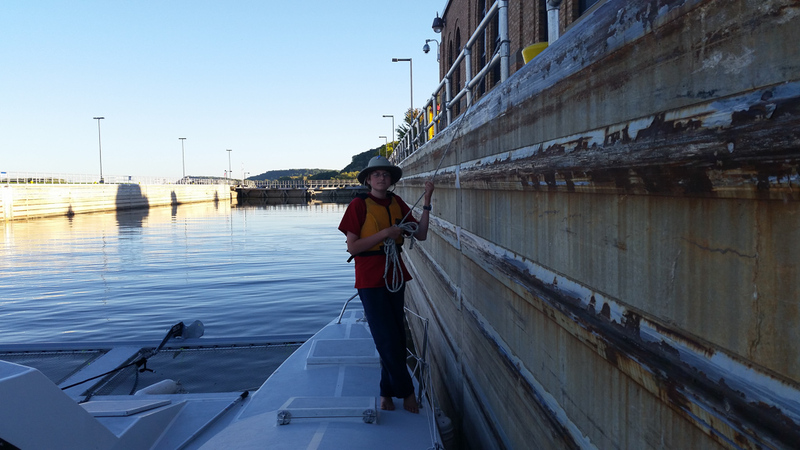 The lock wall took the first ding out of the hull sides, but it was an easy fix once we reached Muskegon, MI. In an effort to keep the Asian Carp from reaching the great lakes, they have an electrical current running through the water. 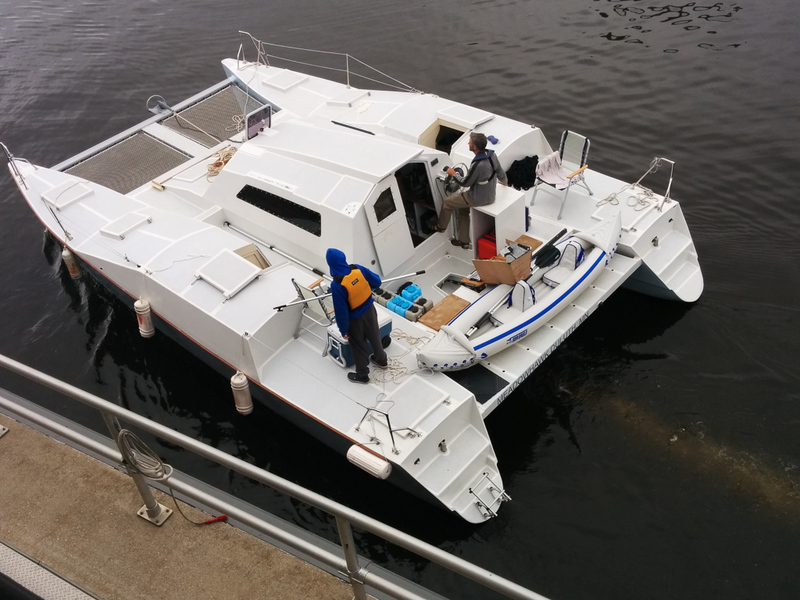 They warn you not to touch the water and stay away from the edges of the boat. A local sheriff’s boat cruised by to make sure we were wearing PFDs and followed us through.